Home > Eleaf > Eleaf iJust ONE > Eleaf iJust ONE Kit > Eleaf iJust ONE Starter Kit > iJust ONE > iJust ONE Kit > iJust ONE Starter Kit > vape kit > Eleaf iJust ONE Is A Simple And Efficient Device ! Eleaf iJust ONE Is A Simple And Efficient Device ! 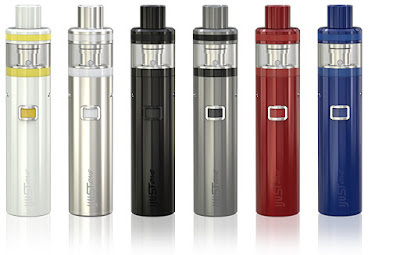 Eleaf's tube-like iJust series just welcome a new member - iJust ONE , which comes with an all-in-one style design, integrating a 1100mAh built-in battery with a 2ml tank in one compact unit. The tank section can be detached and reassembled for easy cleaning and maintainance. One single button operation system makes it easy to use, perfect for beginners or a backup for advanced vapers. The most amaing part of this iJust One starter kit is that it can not only work with the popular EC coils for direct lung inhaling, but is also compatible with GS coils for MTL vaping when using the included EC sleeve. In addition, it features convenient top filling, USB charging, dual circuit protection, and battery life indication. Overall, it's a simple & efficient device worth the trying.